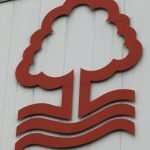 It was a disappointing Saturday for Nottingham Forest fans as we fell to a 2-0 defeat to Birmingham City. With our St Andrews’ hosts taking the advantage 13 minutes in, significant improvement and arguably better efforts in the second half didn’t result in a goal and shortly after Yoann Benalouane saw a straight red in the 91st minute, Birmingham grabbed a second from the penalty spot to kill off all hopes of a late comeback. 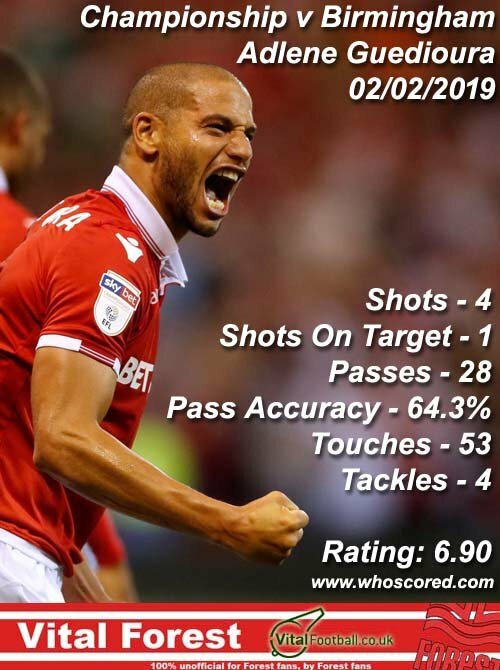 Statistics website Whoscored.com’s player ratings from the game weren’t very favourable, but they had Adlene Guedioura as our Man of the Match with a score of 6.90. Completing the top five presumed best performers in their system were Joe Lolley (6.80), Jack Robinson (6.79), Ben Watson (6.67) and Ben Osborn (6.54). Manager Martin O’Neill will be pleased with the reaction at halftime but there would’ve undoubtedly been some harsh words given how he reflected on the game at the final whistle, but with a couple of debuts from our deadline day we can hope for quick improvements.